Letitia holds nothing more dear than the papers that prove she is no longer a slave. They may not cause white folks to treat her like a human being, but at least they show she is free. She trusts in those words she cannot read—as she is beginning to trust in Davey Carson, an Irish immigrant cattleman who wants her to come west with him. Nancy Hawkins is loathe to leave her settled life for the treacherous journey by wagon train, but she is so deeply in love with her husband that she knows she will follow him anywhere—even when the trek exacts a terrible cost. Betsy is a Kalapuya Indian, the last remnant of a once proud tribe in the Willamette Valley in Oregon territory. She spends her time trying to impart the wisdom and ways of her people to her grandson. But she will soon have another person to care for. As season turns to season, suspicion turns to friendship, and fear turns to courage, three spirited women will discover what it means to be truly free in a land that makes promises it cannot fulfill. 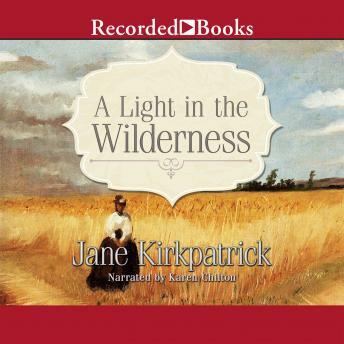 This multilayered story from bestselling author Jane Kirkpatrick will grip readers' hearts and minds as they travel with Letitia on the dusty and dangerous Oregon trail into the boundless American West.